Is Karma Blocking Your Relationship? Home Quizzes Is Negative Karma Blocking Your Relationship? Is Negative Karma Blocking Your Relationship? 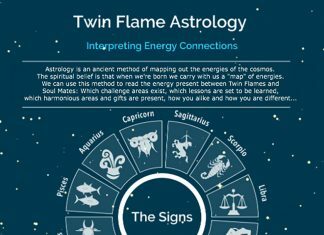 As well as the differences and commonalities between karmic twins, soul mates, twin souls and “false twins”, and what it means for your journey. Plus importantly – a tool which allows you to discover how karma is impacting your Twin Flame connection! So, if you’re struggling, please go ahead and download the Free Twin Flame Help Kit, which includes an energy cleanse tool to clear out congestion from your space and instill new light in its place. I get emails and comments every single day from Twins whose situation has changed for the better as a result of using the Kit – you can have a look at some testimonials here, with Twins’ amazing experiences with the Free Twin Flame Help Kit and the Complete Vibrational Alignment Program. Negative karma doesn’t necessarily mean you did something “bad” – it most often means you experienced something traumatic. This trauma then formed an energetic and emotional “scar” in your being, which keeps affecting your energy field and the experiences you encounter in life. It will still be active in the background, and in karmic terms that means you’ll be unconsciously sending out negativity – attracting the same thing over and over by “default”. Permanently resolving karma involves discovering the exact core incident that caused the trauma and then healing this scar, so you stop sending out the “distress signal” to the universe (which is what has had you attracting similar circumstances over and over). Karma is buried so deep in the energy field and unconscious that we cannot resolve it just by “hoping” or “wishing” or thinking positively. Because like I mentioned, it’s a scar. When we have karmic patterns it means we keep manifesting recurring cycles of similar experiences to the original trauma. If you were abandoned, it means repeating cycles of above all feeling abandoned by friends, family, coworkers… Re-experiencing above all the feeling of abandonment. For example, someone who was gravely sick in a previous lifetime may experience symptoms their doctor can’t give a clear diagnosis to. Many digestive issues, sensitivities and respiratory problems fall under this category and science even uses the term “psychosomatic” for many cases where it seems like the symptoms are created from the mind. In spiritual truth, it’s often a “memory” of a previous sickness playing out in the body. In addition, most people have karmic issues with love and relationships, because this is something we’ve experienced time and time again – not only in this life, but in prior lifetimes. Some people are terribly afraid of abandonment or being cheated on, because they carry in their system the traumatic energy memory or “scar” from having been abandoned or betrayed before. To read about one of my own experiences with Twin Flame karma and how it disrupted our connection – have a look at this article: “Our Twin Flame Story – Chapter 7: ‘Buried Wounds'” . There are three main ways to heal and resolve negative karmic patterns. This is often done without the person being aware it’s happening in their lives – ideal for those who are “unawakened”, and is arranged by their soul behind the scenes. The karmic “clearing” is done by having the person directly experience something that is “the opposite” to the old karmic pattern. For example, if you were abandoned at the altar in a lifetime, going through with a relationship and getting happily married and living together peacefully with a loyal partner will counteract the old trauma. Many people attract children, friends and love partners into their life to give themselves a chance to work through karmic issues. I just was told about something fascinating in this regard – a woman who spent all of her childhood and early adult life trying to control everything ended up with a daughter who was “impossible to control”. This woman had had the lifelong habit of spending hours checking emergency exits on planes and ships, going over things twice meticulously, being the classic “control freak” – because of an unhealed memory of something in the past going wrong. As she was unaware of the cause of this pattern, her soul arranged for her first and only child to be someone who could help her with this merely by being in her life. So the daughter born to this woman turned out to be messy, chaotic, reckless… Completely “uncontrollable”. The exact opposite of the mother’s karmic pattern. So the mother could experience that it was OK to not control everything – to balance out her fear of things going wrong with the real life experience that things would be completely fine even in the midst of chaos. Again, real life experiences that directly oppose past life karma, are one slow way of healing karmic patterns. Most “unawakened” people will choose for this to happen in their lives. People in Ascension, such as Twin Flames, will be experiencing ALL karmic patterns to come up as their soul gives them the chance to release all old trauma and open up to love, light, peace and their true infinite soul nature. This is one of the reasons many people claim that when Twin Flames come together it is because it’s their last lifetime on earth. If the Twin Flame pair succeed in resolving all their karma, it means there will be no “reason” to go back to resolve any unhealed issues and the two get to “go home together” at the end of this lifetime. 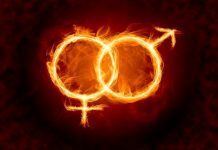 This means Twin Flames experience an intense aggravation of karmic patterns when they come together. In one sense this is a compliment from our souls, as we are expected and believed to be highly evolved and “awake” enough to resolve the past trauma consciously. 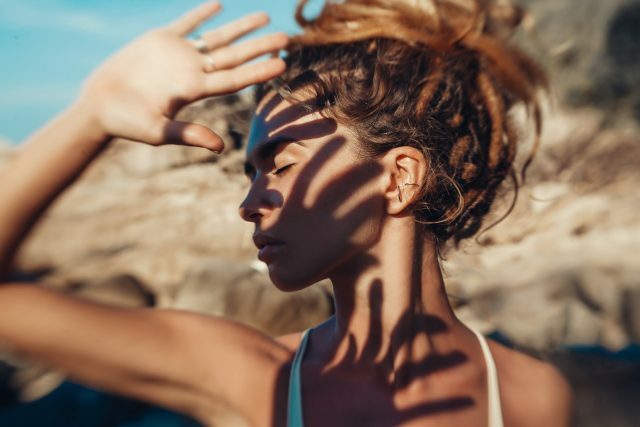 The method for doing this is to recognize that karma is involved in relationship challenges – that we are dealing with unhealed wounds from the past on both sides of the connection, and know exactly what each issue is rooted in – and to forgive each other and fully resolve the issue, thereby taking the charge out of the negativity and healing it with love. However, as many Twins are mentally preoccupied and unable to fully receive the intuitive knowing of what a particular karmic pattern originates in, this can be challenging. As well as this, many are coupled with an as yet Unawakened counterpart, adding to the complications. An incredibly powerful method I use with myself and with clients, is dealing with and resolving karma by directly accessing the Akashic Records and using metaphysical energy tools to clear the negative charge that’s created the karmic wound. This means we get the opportunity to be shown what the pattern originates in (even if that was 400 or 2000 years ago), clear the pattern and thereby recalibrating the electromagnetic frequency. We can in this way heal the karmic wound directly at the “root” – instantly recalibrating your energy to stop sending out the “signal of distress” so that the karmic negativity stops expressing itself in your life and your relationships. When one part of a karmic “entanglement” resolves a pattern this way, they will no longer be locked into the re-experiencing of it. For Twin Flames, one of the pair can heal karma for both parties – because we are one original consciousness expressed in two physical bodies. In this way you can help your Twin step out of things like recurring Running, by working with their energy to resolve the karmic pattern that caused it in the first place. With energy healing methods, we can “undo” karmic negativity faster than with any other method – recalibrating someone’s frequency signal to a higher vibration. There is a lot of confusion around the difference between Soul Mates, Karmic Twins, False Twin Flames and Twin Flames. The truth is that all these relationships can involve karmic patterns being triggered. Just because you have karma with someone it doesn’t mean that you are “Karmic Twins” or that they’re not your Twin Flame. Twin Flames can share considerable karmic experiences, such as loss and betrayal, from past incarnations together. In addition, when Twin Flames come together, all OTHER karma we have picked up with other people – anything that creates blocks to unconditional love – will begin to rise to the surface for us to deal with it. Clearing the way for the true Union of souls – Twin Flame Reunion. Addressing and Healing Karmic Patterns can truly transform your relationship for the better – so here is a quiz that takes you through 22 questions to assess whether Karma is the real culprit behind any relationship trouble you’ve been having. Take the Twin Flame Relationship Karma Quiz Now! Want more? 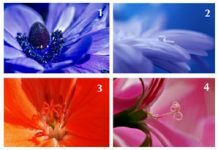 For my step-by-step “roadmap” to Twin Flame Union, created after my Twin and I reached Union within just 18 months of our first encounter – have a look at the Vibrational Alignment Program for Twin Flames. And, read here about other Twins’ experiences with the program! This Next 12 Months Are Set to Be a Year Full of Transformations for The Twin Flame Pair. Sign up here to get the Full YearlyTwin Flame Energy Forecast for Free!